Colour photograph of a Defence of the Realm Local Pass bearing No. 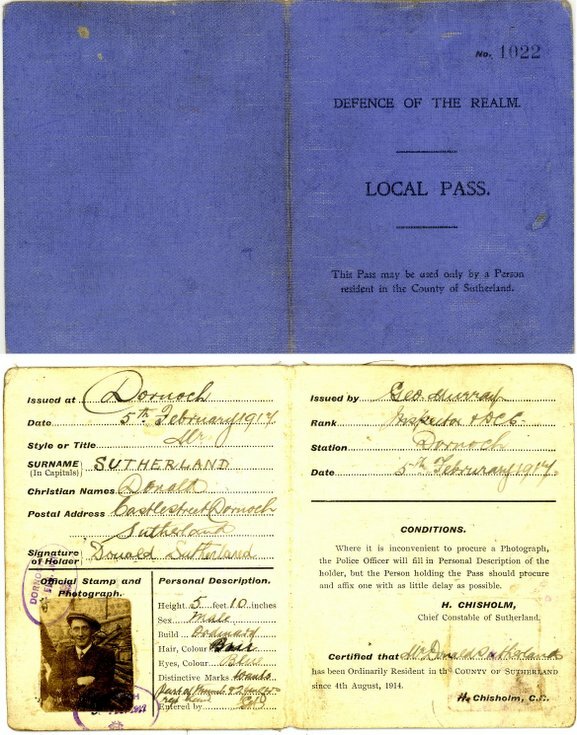 1022 issued to Donald Sutherland dated 5 February 1917. The personal details indicate injury to hand and given the date could this have been a war wound?